F+W media, publisher of The Artists Magazine, Pastel Journal, Watercolor Artist, Writer's Digest and Interweave Knits has filed for bankruptcy, citing declining print sales and disappointing e-commerce results. The actual story appears to be more complex, involving a family selling its profitable business to corporate interests who racked up a lot of debt in dubious ventures and acquisitions. (thanks, Bob). An interview with Nelson Shanks in the April 2004 issue of this magazine introduced me to the "atelier movement" and set me on the path I'm on today. I liked the other magazines too - including Writers Digest. A shame. Artists magazine and Writers Digest aren't the only ones dragged under by this bankruptcy. F+W published a wide array of other "hobbiest interest" magazines. One of my favorites (before its decline) was Popular Woodworking. And yes, I also subscribed to Artists for quite a few years. The story is one of a family owned business that was sold to "corporate interests" when the founding family retired. It took only a few years for incompetence and mis-mangement of several sorts to drive the business into failure. For those interested in the longer story, a former editor of one of the magazines talks about how the corporate owned business failed. He says, "It wasn’t the changing economy that (perhaps) mortally wounded this once-magnificent company. It was debt and venture capital, plain and simple." Bob, thanks for the further insights. I've added a link to that excellent article. The Publisher's Weekly article also suggested that their e-commerce ventures ended up being far more expensive and less profitable than they expected. It's hard for publishers to succeed with social media, and that's where illustrators and writers can help them out. Michael, that's amazing. I also have fond memories of some of the 1990s articles, which featured some of the best realists. The Artist's Magazine also acquired the legacy of American Artist, which went out of business in 2012. Sounds like a lot of other businesses- sears, toys r us etc. when they were sold to hedge funds or other corporate entities. Shame. I think there is still a need for these print trade magazines, that said magazines are declining with the rise of the internet. I prefer physical copies to e-copies any day of the week....be it books or mags. The brain processes information differently (based on multiple studies) and it seems to be a 'richer experience' for the viewer. The past year I have made a concerted effort to subscribe to several art mags...I usually stopped in one of the local book stores (which I still do) to grab some items but found out there was a big difference between the money the publisher receives that way vs. direct subscription. They were also publishers to people like Marc Taro Holmes who are now left without access or royalties owed to their books. How incredibly sad to say goodbye to a longtime quality magazine. I hope an online presence will continue or someone of high caliber taste will pick up the banner and go forth! I'm afraid I went the same route as Peter Drubetskoy — used to subscribe to Drawing magazine, but was actively uninterested in their replacement for my subscription, Artist's Magazine. I've kept all my Drawing magazine issues. I suppose that particular cancellation should have been a sign. The wonderful arts cyber community, "Wetcanvas.com" is also owned by F + W. It was purchased by them from the original owner/ creator of it. I've been a guide on the 'Portraiture' and 'the Figure' forums for many years, and while it isn't as active as it was when I joined, it's still a great place for artists of all levels to meet and create art, share, etc. We hope it will survive this, somehow. One curious thing is that last week I got an official letter in the mail to let me know about the bankruptcy filing of F+W, in case I wanted to file as a creditor. It took me a while to figure out who F+W was, and also why I got a letter from them. I guess it's because I was a subscriber to "the Artist magazine." I haven't subscribed to it for years, though. Did anyone else get letters? Lauren, yes, I also got an official bankruptcy notification letter in the mail. I haven't subscribed in a while, so I assumed it was because F+W was selling some of my DVDs through their online store, and because I had contributed a few columns to the Artist's magazine. I didn't know that Wetcanvas was owned by them. 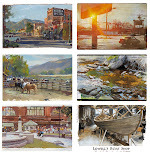 I'm aware of the very helpful forums that have been nurtured over the years, and I sometimes find really useful posts there when I search specific topics about art materials or techniques. Although I'm in the UK, FW Media recently republished one of my books in Russian. This is the first I've heard of this, so thanks for posting, James. I guess now, any hoped for future royalties won't be heading my way any time soon. A representative told me they intend to sell off the book-publishing side to re-invest in the magazines. Apparently bankruptcy doesn't mean the end of a company, but a re-structuring. As one of their book authors, I asked what might happen with that move. If they do sell the book portion, there's no guarantee the new owners will continue with the same books. If they don't sell, at least the copyright comes back to the author. Thank you for posting this Mr. Gurney. It is sad to hear as I know people who have advertised in their magazines for hobbies/creative work about sewing also. Sorry to hear about the demise of the Artist's Magazine. This magazine, and my long time favorite, American Artist, provided me many years of learning and inspiration. Unfortunately, I cancelled my Artist's Mag subscription a couple years ago when they went through an editorial change. I’m an old-timer who is probably set in his ways, but when they began to include articles about yoga and interior design and focus less on traditional drawing and painting, I felt my reason to buy the magazine was ignored. When I was in art school, our illustration instructors introduced us to a new magazine that was focused for professional artists with articles about business aspects of being an artist as well as professional art tips. No other magazine filled that niche at the time. That was in 1984, and the magazine was The Artist's magazine. We all loved it, and I subscribed for many many years. Then I noticed the articles and focus of the magazine gradually shifting toward hobbyist and beginner artists. That's when I lost interest. 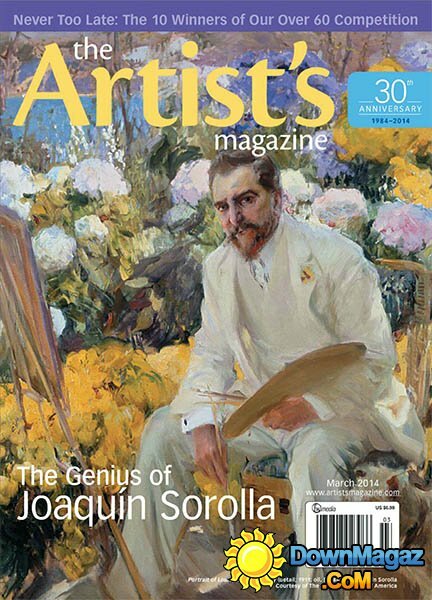 After the merger of American Artist into the new The Artist's magazine, I again subscribed. But again the content was diluted to a much broader spectrum of the art world including crafty stuff. I'm a painter, and I've lost interest again. Meanwhile I subscribed to International Artist, a magazine I thoroughly enjoy which is again aimed more at the advanced hobbyist or professional artist. Although I'm sad to hear about the possible demise of F&W publications, I won't miss it much. But I will miss Pastel Journal if they discontinue it or turn it into an e publication. I much prefer a printed magazine or book which exists right in my house on my coffee table or bookshelf where I see it every day. Not the case with online or e pubs. Out of sight out of mind. Over the years I've cut many articles out of art magazines and have them organized into folders where I can easily find them when I need more information on a topic. I do that quite often. I know myself and know that I just wouldn't bother if I had to hunt down my iPad (which I rarely use) or computer to look something up in The Cloud. 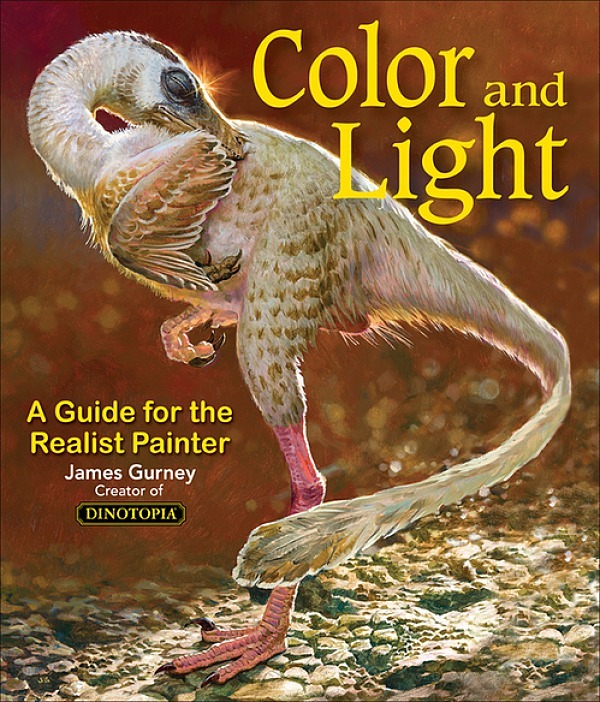 On the other hand, I built up my art instruction book library mainly with books from Northlight Publications. For that I'm grateful. Amazon can't offer today's artists the same kind of bonus deals that Northlight did. Karen and Fred, I agree. The Artist's Magazine's editorial focus shifted to very soft and general topics, rather than being a practical source about realistic painting, which I think was their best legacy, and also that of American Artist. I wonder who owns the back issue rights for American Artist. They did many great articles about realist painters all through the '60s, '70s, '80s and '90s, and it would be wonderful if they could be put online. David, yes, this is very bad for book authors that published with F+W, because they won't get their royalties. Marc Taro Holmes talked about this issue on his blog. Martha, thanks for the insider insights. Let's hope the book portion is put back on its feet with new owners so that the authors can get their royalties and they can put out new books. And I hope the restructuring of the magazine will help them refocus on content that readers really want. I hope some good comes of it all! Ironically, it was just a few weeks ago I received an email suggesting authors could expect great things soon, then I got the bankruptcy letter! Lauren, On the Wetcanvas site, Courtney Jordan, who has handled much of the online social media activity for the company, says: "I just wanted to let you know that it is business as usual and that the company is not shutting down. Hope you are all well and apologies for any delay."